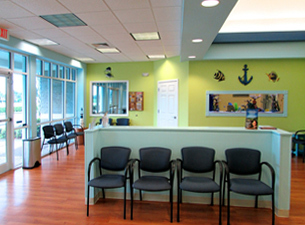 If you are transferring the care of your child or children to Ellenton Pediatrics, welcome! Please try to bring each child’s immunization record and information about important prior illnesses to your first visit with us. We have provided a Records In Authorization in the FORMS section of this web site which you may use to obtain more detailed records from your previous physician. Be sure to bring a photo identification and your insurance card to your first visit. You may also schedule a complimentary “Meet-the-Doctors” visit. Congratulations! Having a baby is one of the most exciting times in your life. Nothing is more rewarding than the privilege of caring for this new life and providing an environment in which both you and your child will thrive and develop. Choosing the pediatrician who can best care for your child is an important decision. At Ellenton Pediatrics we share your joy and enthusiasm and look forward to the opportunity in partnering with you on the exciting journey of raising a child. Getting Acquainted. Please feel free to call our office if you have additional questions about us. If you prefer, call to schedule a complimentary prenatal visit, so you can meet us and see how our practice operates. We will help ease your transition to parenthood by providing you information about what to expect at the hospital, newborn care, breastfeeding, circumcision, immunizations, office visits, emergencies and much more. Upon the Arrival. If you deliver at Lakewood Ranch Medical Center, simply tell your obstetrician and the hospital registration staff that you have chosen a pediatrician at Ellenton Pediatrics, and our office will be notified when the baby is born. One of our pediatricians will then come to the hospital to see you and the baby. Upon discharge, please contact us about scheduling your baby's first visit to our office one to three days later. If you are delivering at a different hospital, let the hospital staff know you will be our patient, so they can facilitate a record transfer, and plan a visit with our office one to three days after discharge home, unless otherwise instructed by the on-call pediatrician. A large 200 gallon salt water aquarium is featured in the Ellenton Pediatrics lobby for parents and children to enjoy. 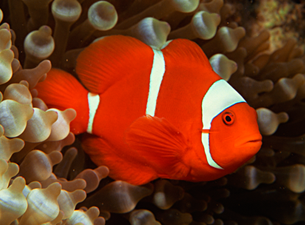 Over a dozen tropical fish make their home here, including two clown fish, Nemo and Marlin, as well as other fish from the Finding Nemo movie. Click on the map page of this web site for detailed driving directions to Ellenton Pediatrics.